Catnip to adventure travellers in search of an authentic Hawaiian escape, Molokai is often referred to as ‘The most Hawaiian island’. With little other than true Aloha on offer, those who board a tiny turboprop plane in Honolulu should expect to step back in time when they land in Ho’olehua. Unlike its neighbours Molokai does not cater for the package holiday goer. 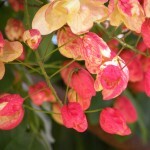 There are no major chain hotels or supermarkets, no luxury resorts and very few tour operators. 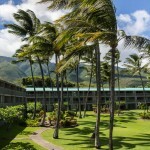 Without the usual selection of restaurants, activities and tours to occupy your time Molokai encourages you to connect with the heritage of the Hawaiian people, to drink in the lush landscape and immerse yourself in the tropical waters. 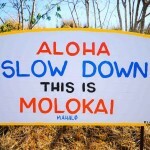 With no major airlines flying into Molokai a connection is essential, this can be obtained via Mokulele Air on Oahu or Maui, or via the Hawaiian Ocean Project Ferry on Maui. Despite the closure of the island’s only resort in 2008, there are plenty of places to lay your head. Self-catered options are by far the most popular, with limited dining options on the island kitchen facilities provide the flexibility to be budget and health conscious should you wish. 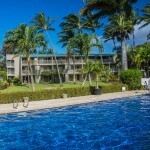 During my week on Molokai I rented a one bedroom Vacations-Abroad.com Wavecrest Condo which offers self-catered accommodation, a private lanai with views over the ocean to Maui, and use of a private pool. It was also equipped with snorkelling gear, beach towels, games and a small library of reference books detailing various aspects of the island and its heritage. If you’re feeling adventurous check out Pu’u O Hoku Ranch. Offering a rather more rustic retreat this biodynamic and organic ranch and farm is set on 14,000 acres of protected land, immersed in the transcendent beauty of forest, sky and ocean. There is no public transport on the island so a rental car is a necessity if you are to avoid high taxi fares throughout your stay. For international visitors Alamo offer standard car rental packages, I paid around $280 for one week rental of an economy class car however on arrival I received a free upgrade to a convertible sports car as the depot were sold out of economy options. If you hold a valid US car insurance policy of your own, you can rent from local resident Pat who operates Mobettah Cars. Although to some it may appear as though Moloaki has little in the way of entertainment there’s ample to keep you occupied during your stay. 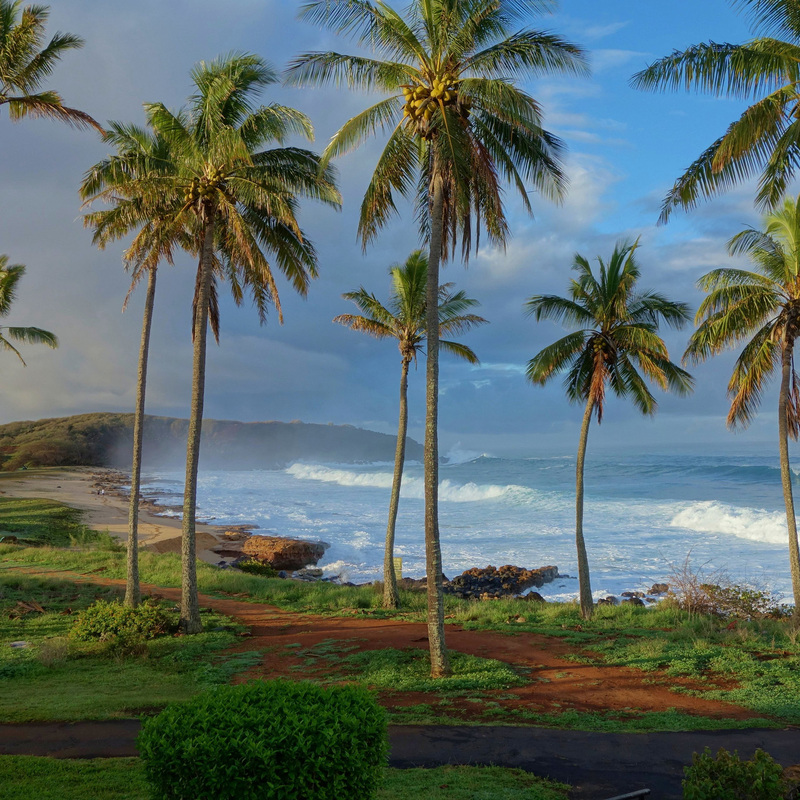 After a breakfast of tropical fruits and pancakes it’s time to hit the beach, and at just 38 miles in length you can be at any beach on the island with ease. 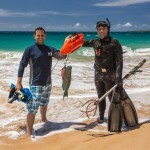 I spent a number of afternoons exploring the island’s coastline, lazing on Papohaku Beach and diving on the fringing reef which runs like a marine highway between Molokai and neighbouring Maui. If outdoor adventure is your cup of tea then head to Molokai Outdoors who will outfit you for guided sea kayaking, scuba diving and hiking excursions. 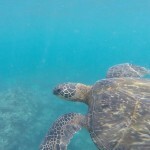 I chose to dive the fringing reef and had a close encounter with some of Hawaii’s turtles! 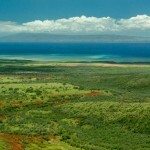 Molokai is renowned for its rich cultural heritage and breathing in the island’s past is an integral itinerary addition. Those keen to immerse themselves in Molokai’s darker side can take a guided mule ride or hike down through the Kalaupapa National Historical Park to a remote peninsula that was once home to those islanders afflicted with Hansen’s Disease. As I was on a restricted budget I opted to visit the spectacular Kalaupapa Lookout which offers a dramatic view of the peninsula and the island’s vast sea cliffs. There are no traffic lights on the island! 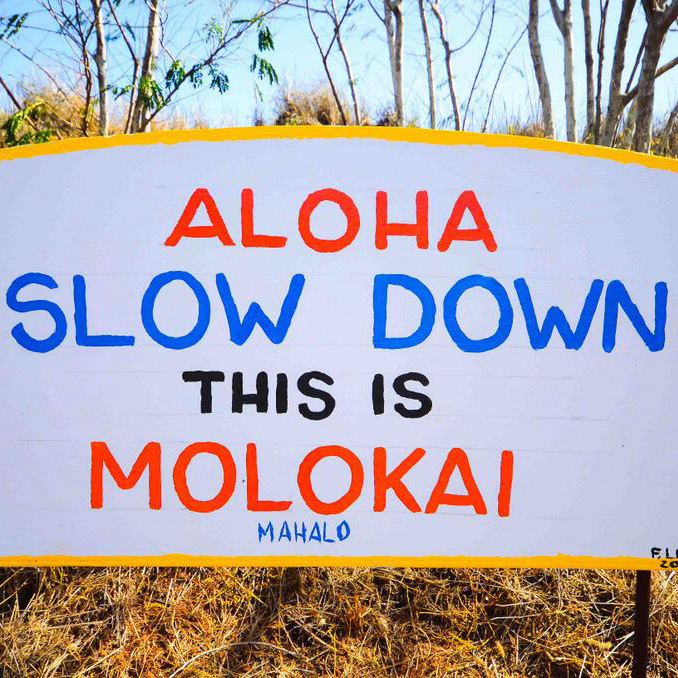 Molokai is home to just 8,000 people. There is one major road which links the east and west coast and another which links the north and south. In all honesty there’s just no need for traffic management. For a brief snapshot of my week long stay on Molokai check out this video or refer to my handy Molokai travel guide for more information. 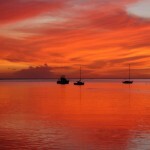 Have you explored the island of Molokai? Share your trip report with me below.